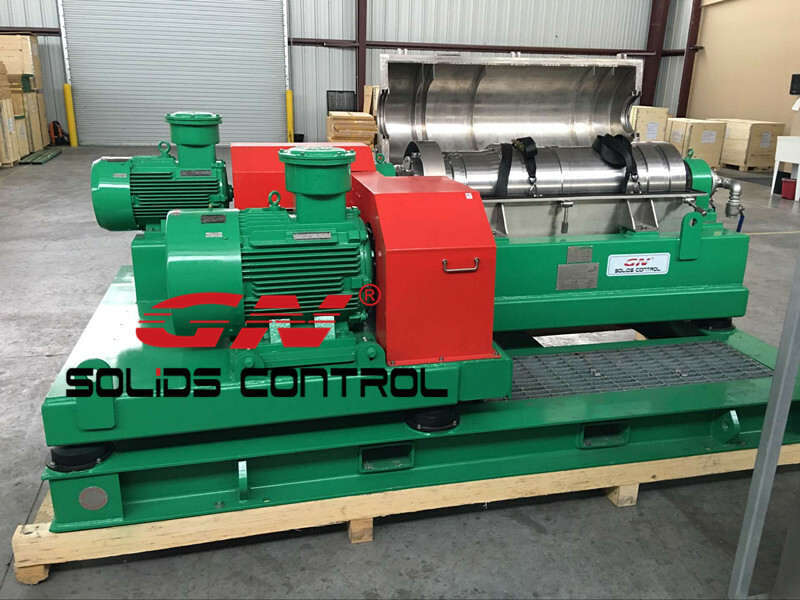 GN Solids Control manufactures 9 inch, 14inch, 18inch and 20 inch decanter centrifuges. GN centrifuges are widely used for various solids and liquid separation areas, for example, industrial water, oil and gas drill cuttings, soil remediation, construction slurry etc. 1. The main motor belt alignment is not good. There is minor offset between the pulley on the gearbox and motor pulley. The motor pulley contacts the belt guard, because it is offset. Do you have any suggestion as to how we can fix this alignment? Offset is a problem that we cannot ignore, as belt alignment will cause issues with the bearings or belts. This might happen when the centrifuge transported by long time transport without proper secure, but it’s very easy to adjust. Please check the following drawing for the motor position. Loose the 4 bolts (in red circle) under the main motor, and adjust the 2 bolts (in red rectangular) to adjust the position of the motor so you will have a better alignment. 2. We are having trouble locating a local supplier of SKF LGHP 2 grease for GN decanter centrifuge. Are there any other types of grease that are permitted to be used for the main bearings? Also, it seems like the greasing quantity is very high; about 270 grams for each bearing every 8 hours. The manual says that the grease amount should be 2/3 of the tank. Does this mean 2/3 of a 400 ml grease cartridge? Some other grease can be used as long as they are suit for high speed working condition. Please DO make sure to use famous brands grease as the bearings are key components of the centrifuge. Due to the high rotating speed of the bearing, the grease will lose a little every day, regularly lubricating helps to protect the SKF bearings. But I don’t think there is a large needing volume of the grease, only 25g and 86g for the small end and large end bearings, which is 111g for 2 bearings in every 8 hours. The reason amount is 1/3, which is also filled by our engineer when leave factory, you just need to add a little bit every day.